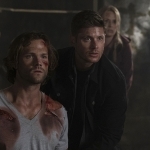 The latest episode of Supernatural shows us that, even after nine years, there is still plenty to learn about our favorite Winchesters. This time around, we got a glimpse at young Dean’s past and found out that he had two months of a normal life when he was a teenager. Too bad that was never going to last. Before I get into the emotional roller-coaster of Dean Winchester, let’s delve into the case that brought out the new-to-us revelations. For the first time in a long time, we got an old school haunting. EMF meters, grave digging, and a nice salt and burn all got to take a turn this episode. I miss the old, simple cases like this. With the whole heavy weight of the apocalypse and angels hanging over their heads for the past few years, it was nice to see the boys go back to their roots and banish a ghost. And this time they didn’t even have to force a violent ending for the ghost, because the “victim” took control and banished his ghost mommy on his own. Good thing, too, because the only solution the boys could think of was offing the kid. Yeah, let’s not do that. 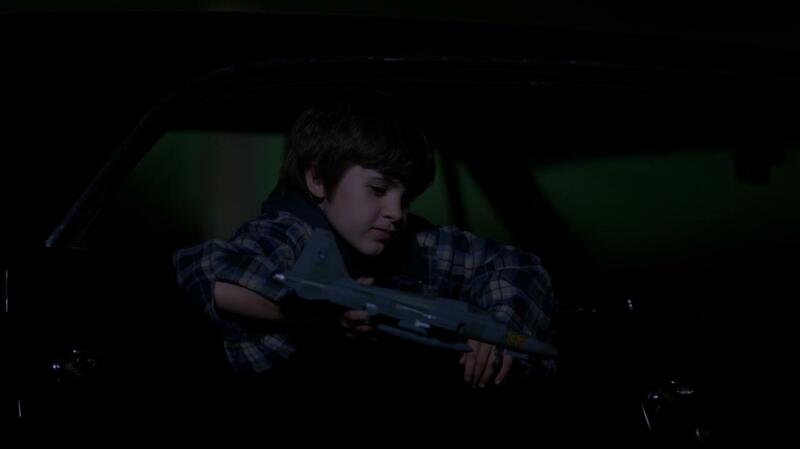 The main thrust of the episode, though, was the glimpse at a young Dean Winchester’s life. 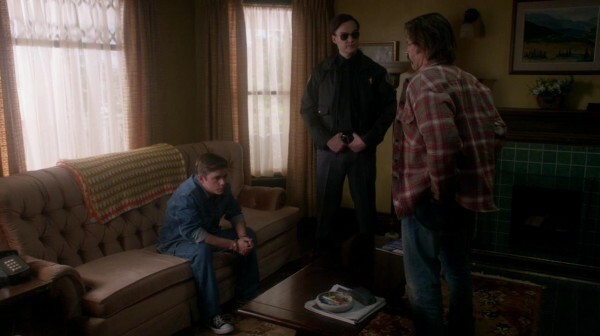 When I first heard about this episode, that Dean was sent to a boys’ home at a certain point in his life, I speculated that it had to do with something he did while trying to take care of Sammy. Turns out I was right. When Dean lost their food money, he had to make sure Sammy got fed somehow, so he tried the less-than-legal route of stealing their meals. Yeah, not a good plan, especially when you get caught. So, off Dean goes to a boys’ home, off Sammy goes to Bobby’s, and the long-standing lie of what really happened began. 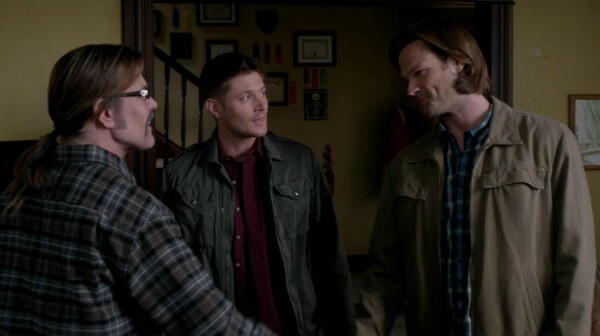 Sam never knew the truth, never knew that Dean had spent two months at a boys’ home. Instead, all he knew was that Dean was missing, Sam got to spend a couple months at his adopted uncle’s house, and when John finally tracked Dean down it was because of a hunt gone wrong. Yeah, not so much. If the lie originated from just straight-out “Dean was embarrassed over the situation” then it wouldn’t have been so emotionally heavy. But, it’s never that straightforward when it comes to the Winchesters. Instead, we get one more indication that John was never going to win father of the year and I found one more reason to despair for Dean’s lack of a childhood. John knew where Dean was, but as soon as he heard that Dean stole and got caught, he washed his hands of his oldest son to teach him a lesson. This is a boy who has done nothing else in his life but try to achieve his father’s praise and instead he is abandoned for what could potentially be forever because he screwed up. John Winchester, a father that no man should seek to emulate. What’s even worse is that, for all Dean’s tendency to shy away from showing emotions and put up a tough front, he is really a broken kid at heart. He never had a real childhood, never was able to take part in the normal parts of growing up like going to school dances or enjoying extracurricular activities. When other kids were thinking about first kisses, he was thinking about first kills. But, in these two months, he could actually have a taste of what being normal felt like. He could be on the wrestling team and ask a girl to a dance and have a father figure who actually cared about him and praised him and was proud of his achievements. For two months, he could be happy. And when he wasn’t forced to snap to John’s orders at a moment’s notice, Dean could think about a what-if for his future. If he didn’t have to hunt, wasn’t forced into a life he never wanted, he could have sought out his own dreams. What would Dean Winchester like to be when he grew up? A mechanic, which is in line with what we saw in the djinn episode and what we have seen throughout the series in small glimpses. Cars make Dean happy, the intricacies of the machines and figuring out how to make them work. He’s good at taking care of Baby and he would have been fantastic at taking care of other people’s cars, too. But he was never given that chance, because he had to be John’s perfect little soldier. What was the most heartbreaking, but most true-to-life, was that Dean had to leave the stability of normality to go take care of Sammy again. Yes, John came back for him after two months and said they had a case, but Dean was honestly thinking about staying behind to continue the happy life he had finally managed to gain. It was only when he looked out and saw little Sammy hanging out the back window of the Impala that he accepted his fate and went back to the hunt. Whatever happens in Dean’s life, the universal truth is that he will do anything for Sammy. His one job, and one that he has never forgotten, is to take care of his little brother. That has often come at the expense of his own happiness, and now Sam has gotten another clue as to what that has meant in Dean’s life. Even after all these years, this show still has a way of getting right at your emotions. I continue to love that about Supernatural. 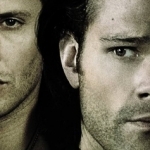 At its heart, it will always be about Sam and Dean.